We help property buyers and sellers in Oberon with done for you conveyancing. As a conveyancing-only law firm, our solicitors' top priority is to maximise your savings while minimising your legal risk. 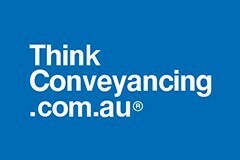 Think Conveyancing in NSW is happy to provide $49.00 Existing House Contract Reviews for OberonAustralia.com.au visitors. Just mention STRALIAWEB49. Complete your details below and your enquiry will be emailed directly to Think Conveyancing Oberon. Please check your contact details are correct to ensure the quickest possible reply.